Because trade show exhibitors have to compete for attention at trade shows it is important to stand out from other exhibitors. A 3D Hologram Projector offers exhibitors a chance to both entertain and educate booth visitors. Trade Show Holograms is a company specializing in rentals and sales of holographic effects displays. Their most popular model is a dual sided interactive display. This display features ultra bright technology allowing for bright and clear image projection in bright trade show environments. Holograms are projected in full 1080p HD video quality. Full color projection, animation and audio effects and narrative make up the multiple on demand presentations the display offers. Viewers access up to 9 separate animated hologram projections via a touch screen located on each side. The display can projector separate projections on each side. Because light is projected towards the viewer it can be seen by the audience on their side while a separate projection is viewed on the opposing side. 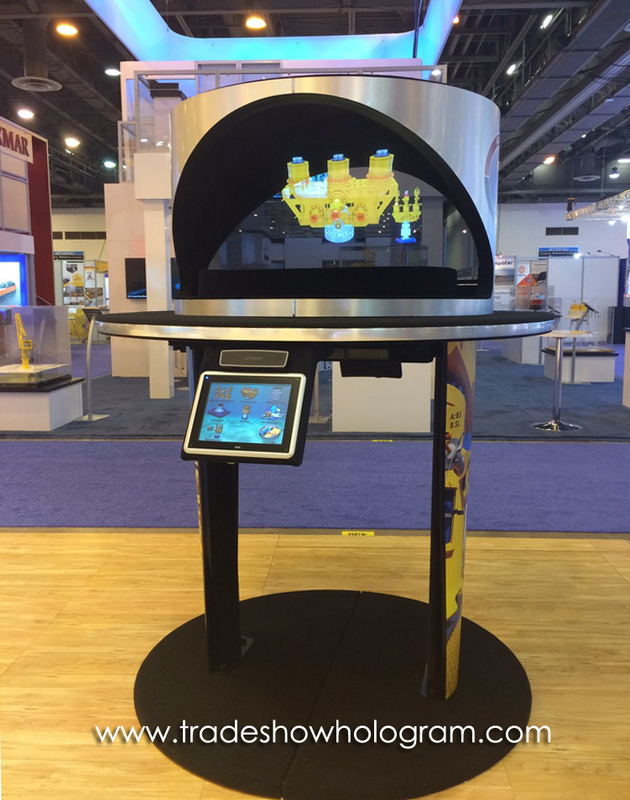 A trade show hologram projector offers exhibitors a unique way to introduce their product. This entry was posted in New Trade Show Exhibits and tagged 3D, bright, conference, convention, HD, Hologram, interactive, rental, sales, trade show by TimothyDrake. Bookmark the permalink.